Sudden Cardiac Arrest takes more than 350,000 lives every year and is one of the leading causes of death in America. Sudden Cardiac Arrest can happen at any time, anywhere, to anyone. 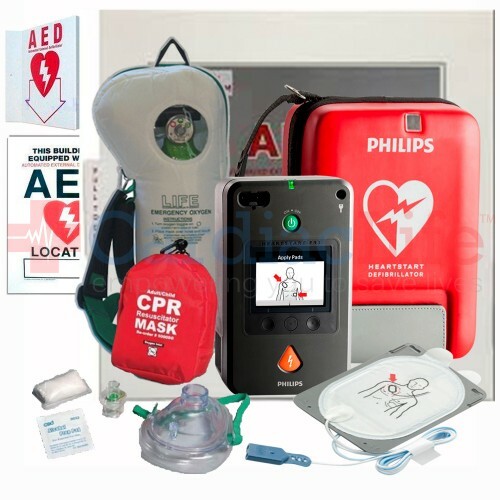 The Philips HeartStart FR3 AED Life Corporation Emergency Oxygen Value Package comes with emergency oxygen to help assist a patient who's struggling to breathe, as well as the tools needed to save a life in case of Sudden Cardiac Arrest. The Philips HeartStart FR3 is the smallest and lightest professional-grade AED available among leading global manufacturers. Pre-connected peel and place SMART Pads III, with no foil pouch to open, reduce deployment time. 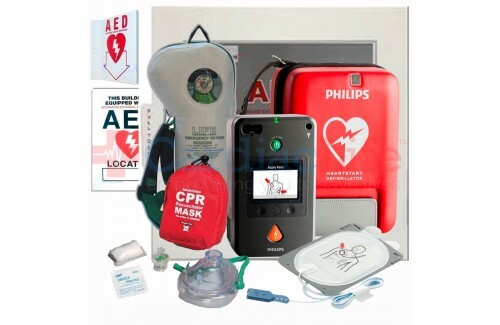 ECG AED option is available for the experienced professional.